Reach millions of women that play casual games in the CoolGames publishing network! 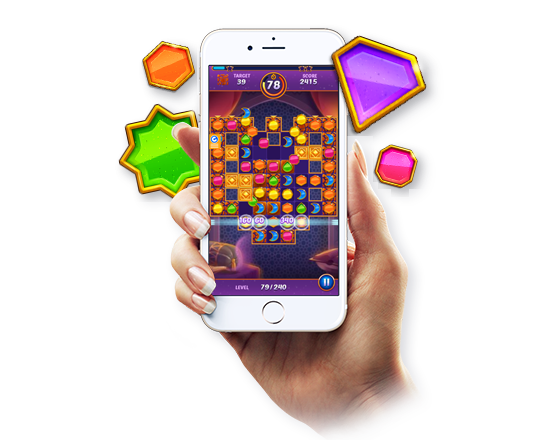 We distribute our games to big publishers worldwide next to our owned and operated sites: CoolGames.com, GirlGames.com, CookingGames.com and WordGames.com. As our advertiser you will have access to the newest state-of-the-art possibilities to engage your audience. We offer multiple high converting advertising formats to make sure your message is brought to the right user at the right time. Why is CoolGames the right partner for my ads campaigns? CoolGames distributes games to publishers worldwide, next to running our direct-to-consumer websites, and we make sure your message is brought to the right user at the right time. For further information please fill in the form below. What advertising models do you accept? We work on CPM (cost per mille) or CPCV (cost per completed view). We support VAST and VPAID (HTML5) tags, we don’t support flash creatives. What are the advertising formats you are offering? We can run display banners and video pre-roll/ mid-roll and rewarded video. What’s the standard of ads that are acceptable (in terms of content and format)? We accept standard ad categories, no adult or gambling campaigns. You have not found the answer to your question yet? I would like to receive news about new games, business cases, reviews and more.